When performing a Lap-Band procedure, also called adjustable gastric banding, the surgeon restricts the stomach to a tiny pouch by slipping an adjustable silastic band around the upper portion of the stomach. After the patient heals, the surgeon adjusts the band by injecting or withdrawing saline -- sterile salt water -- into the band with a needle. The patient loses weight because he can no longer eat large amounts of food, but he must eat plenty of protein for the rest of his life to maintain health. Most healthy American adults need an average of 50 grams of protein per day, according to the Centers for Disease Control and Prevention. After weight loss surgery, including Lap-Band procedures, patients need 60 to 80 milligrams of protein a day for the rest of their lives to prevent loss of hair and lean muscle mass, says Linda Aills, R.D., lead researcher of a study published in the September 2008 issue of "Surgery for Obesity and Related Diseases." 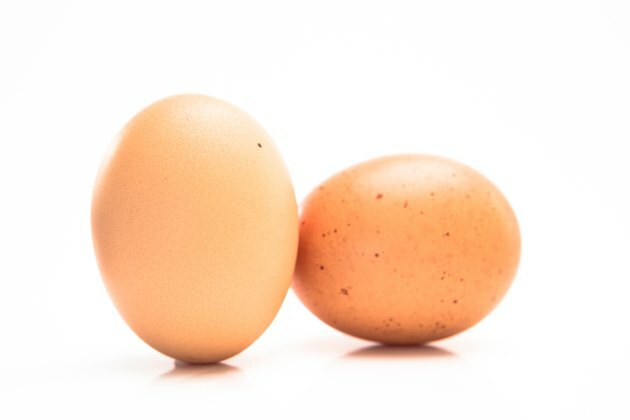 Since the procedure reduces the stomach to the size of an egg, you must choose high-quality, complete protein sources that have all of the nine essential amino acids that the body needs from dietary sources. Examples of complete proteins include meat, fish, eggs, soy and low-fat dairy products. Until you can eat enough solid food to meet your protein requirements, you may use protein shakes made from whey, casein, egg whites or soy, Aills says. Unlike gastric bypass procedures that reduce the size of the stomach and block some calorie absorption, Lap-Band surgery works solely by restricting the amount of food that you can eat at one sitting. Therefore, you will not experience dumping syndrome, a condition that causes gastric bypass patients to experience diarrhea, nausea and abdominal cramping after they eat foods high in sugar or fat. The long-term success of your surgery depends on restricting your food intake to low-calorie, high-protein, high-quality solid foods three times a day with no snacks in between. Some people need more than 60 g of protein per day after surgery so follow your nutritionist's instructions exactly. Plan to eat low-fat protein at every meal, adding small amounts of fruits, vegetables and whole grains if you have room after eating the protein. You will need about eight 1-ounce protein equivalents a day or more, according to Highland Hospital. 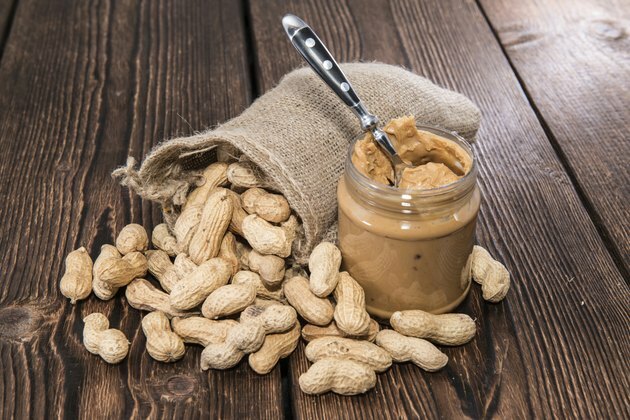 A protein equivalent equals 3-ounces of meat, fish or poultry; one egg; 1-tablespoon of peanut butter; 1-ounce of hard cheese; 1-cup of fat-free milk; or 1/4-cup of cottage cheese. 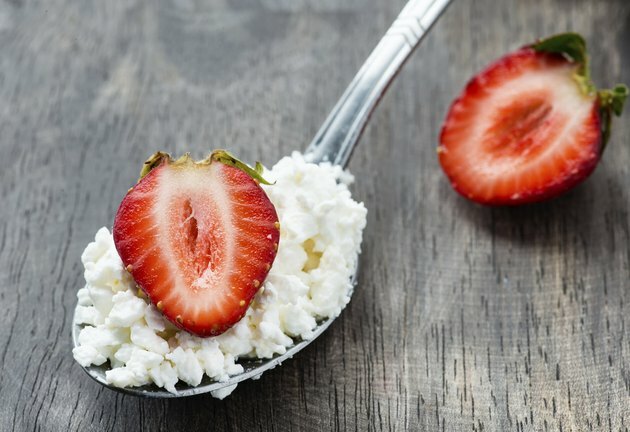 To consume 63 grams of protein in three meals, begin with 1/2 cup of cottage cheese -- 14 grams of protein -- topped with pineapple canned in juice. For lunch, eat 3-ounce of canned tuna -- 21 grams of protein -- stirred with 1-teaspoon of light mayonnaise, a salad and a slice of whole wheat bread. Dinner could be 1/2 cup of baked chicken -- 28 grams of protein -- plus cooked carrots. 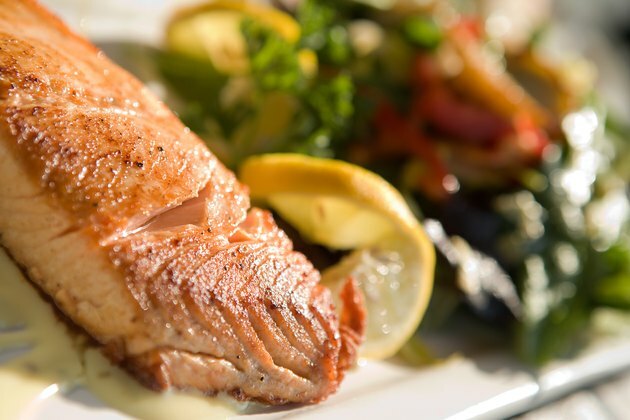 Avoid high-fat protein sources that add unnecessary calories to your diet. Foods to avoid include sausage, bacon, hot dogs, breaded fish or meats, marbled beef, full-fat dairy products, according to Highland Hospital. Preparation makes a difference, as well: choose low-fat methods such as grilling, baking or roasting instead of frying and remove the skin from poultry before eating it. 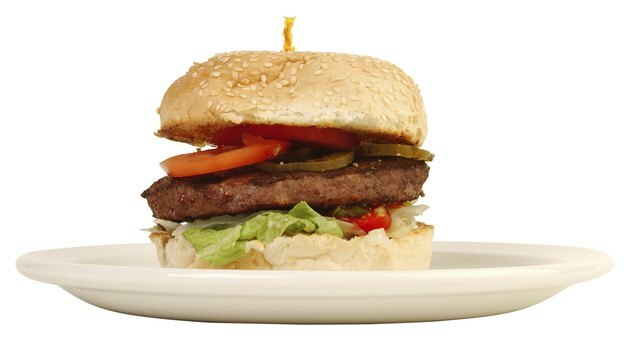 Many Lap-Band patients also find they cannot digest hamburger, steak and tough, stringy meats easily so avoid them altogether if you experience problems.